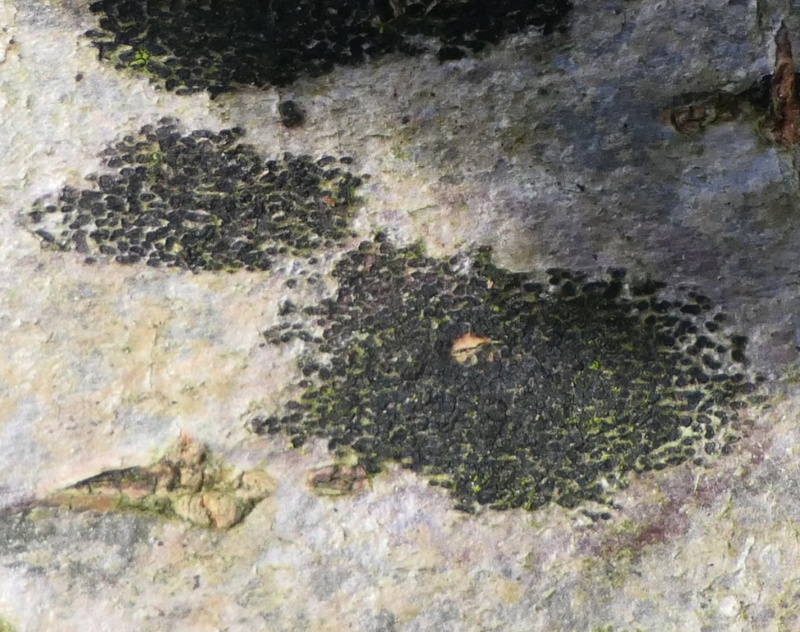 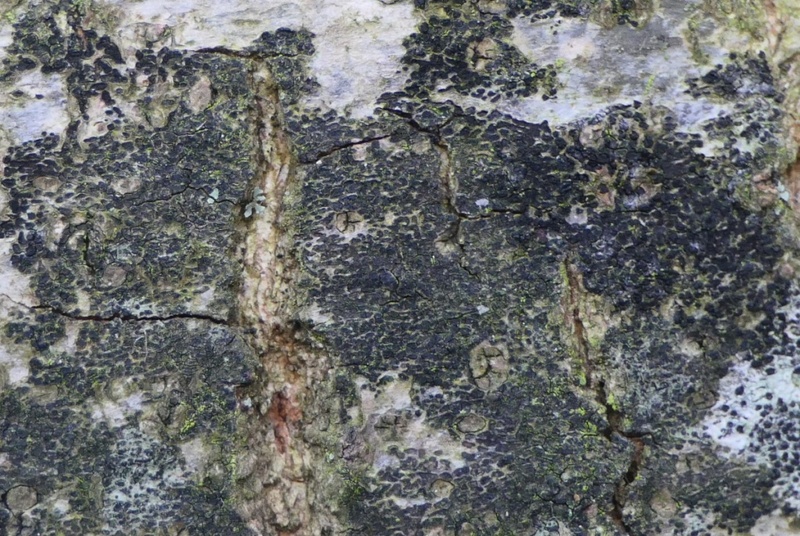 A small bark fungus that could be confused with Graphina pauciloculata – expert confirmation of the species is needed. The Anamorph state is visible as darkish ellipsoid horizontal strips on the bark of trees; these strips are formed by a highly rough to warted dark brown tissue. Superficially looks like a lichen. 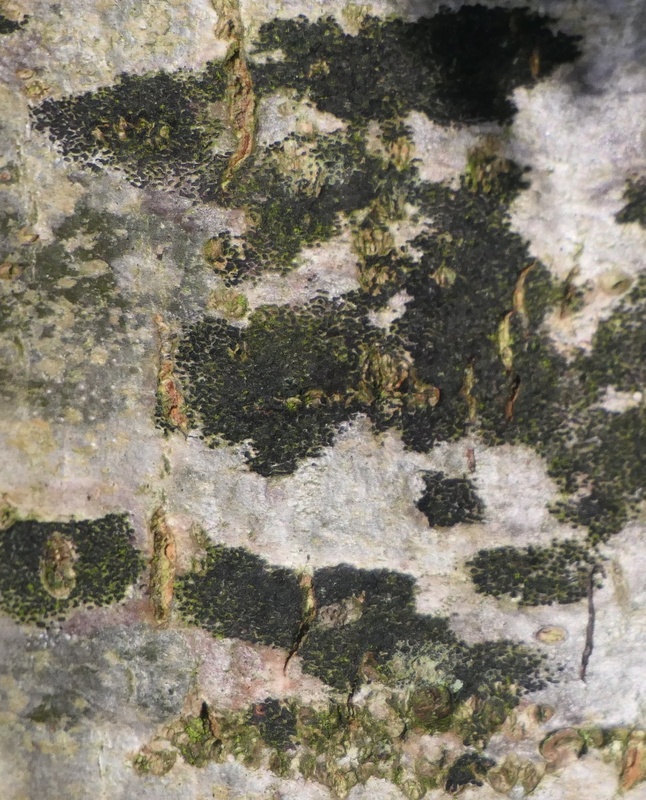 On the bark of trees, especially Beech. Exists under 2 states: perfect state, sexual (Teleomorph) very rare and the imperfect state, asexual (Anamorph) very common.